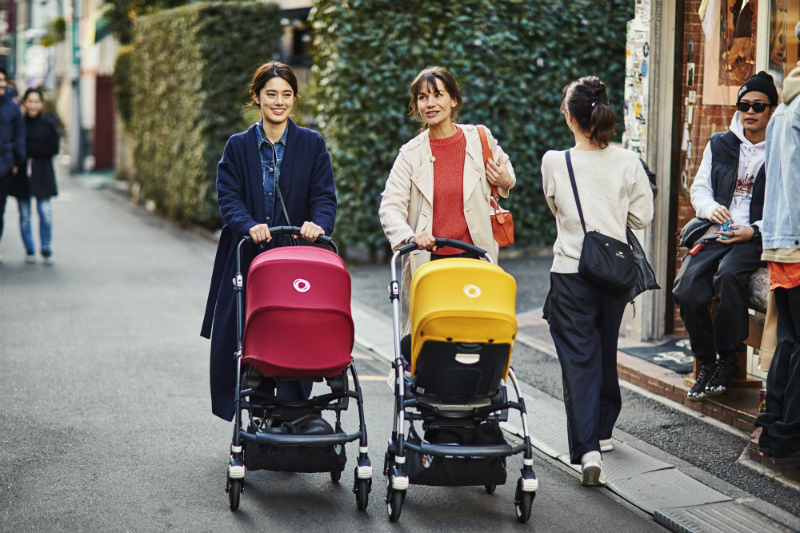 The Bugaboo Bee⁵ confidently secured its status as the most compact, easy-to-fold and stylish set of wheels for newborns and toddlers when we asked six very different families to take it out for a spin. Six lucky families tried the Bugaboo Bee⁵ on for size and it proved time and time again that it’s the perfect choice, form and function-wise, for busy parents and kids. No matter what type of parenting game you play, the fully customisable Bugaboo Bee⁵ leads the field in style, stability and handling – and will extend, reverse and recline with just a few simple clicks. Quite simply, it’s the most comfortable urban stroller on the market, driving like an absolute dream. Whether you’re headed to the park, the grocery store or around the block, you’ll be covered with this cute set of wheels – and it folds up easily in case you’re navigating public transport, Ubers or taxis with your little one. Six savvy, but very different, families shared their experience with the Bugaboo Bee. Busy mother-of-three, Junlie Siegert, is all about living well and living mindfully each day. No matter how many different directions her kids have her running, she prioritises sleeping well, working out and eating healthily each day above just about everything else. So the Bugaboo Bee⁵ was a match made in heaven. With her toddler snuggled in comfy and cosy, our Health Nut could get out and about, without a hassle. As mother of one very busy toddler, there’s nothing Alexandra Townes-Baker loves more than greeting the day with a little morning meditation followed by a restorative soy latte. It’s all so very good for the soul. Not only was it easy to push through the inner-city streets and shops – and load into the car – it provided a comfortable refuge from the surrounding noise for exhausted toddlers. And to top it all off, the Bee also saved Alexandra’s back from extra wear and tear, “Having a toddler, I found the pram made my life a lot easier without the hassle of dismantling/assembling multiple pieces of pram and easy one-handed pushing. The light weight of the pram and ability to lift into the boot with one hand helped me with my bad back.” Which can only mean this Yoga Mum gets enjoy her Sun Salutations that little bit more. It’s the little things that bring much joy, right? Juggling the needs of her five-month-old and her three-year-old, Rhian Ciddor knows what a busy life looks like! Knowing that time is very precious when you have little ones, our lovely Daydreamer also understands the value of letting your mind wander – it’s in these quiet moments that you find the joy in life. Always looking for the opportunities that everyday life brings, Rhian really put the Bugaboo Bee⁵ through its paces, and reported back that it worked across a number of ages and stages – and its smooth ride made for easily travelling with her cute kiddos. “Great level of comfort for my five-month-old and enough room that my three-year-old could go in when tired, easy to adjust straps going from three-year-old to baby. Good suspension and nice smooth ride,” she said. The Bugaboo Bee⁵ made easy work of getting out and about and its versatility suited her family down to the ground. Hands-on father of two, Jose Banaria, likes to get stuff done. Never one to shy away from a project, he loves to get jump in on a new project – and if it’s something his kids can ‘help’ with too, then all the better! So a pram that lets him hit the road without any fuss and bother is exactly what he wants. Dancing like no one’s watching is mother of two, Kristy Kelly’s personal speciality. Constantly full of enthusiasm and energy, this busy mum is always ready for a new adventure. So it’s no surprise that when she put her hand up to test the Bugaboo Bee⁵, she had plans aplenty! Our Living Room Dancing mum was not backwards in coming forwards about her admiration of the Bugaboo Bee⁵. She was super keen to take the Bee⁵ out and about and loved pretty much everything about this gorgeous pram. “We took the stroller to the pool and shopping. The basket is surprisingly big. I could squeeze our large swimming backpack in the basket from the front,” Kristy told Babyology. When we asked her how the Bee⁵ performed out on the streets, she was brimming with even more superlatives. “Handles beautifully. It just glides effortlessly, but still feels very grounded and sturdy for a stroller. Pops up on curbs easily,” she said. A less-is-more person, mother of one, Shanika Campton loves to travel light at all times. Which is what made trialling the Bugaboo Bee⁵ a match made in heaven for this Minimalist Mum. 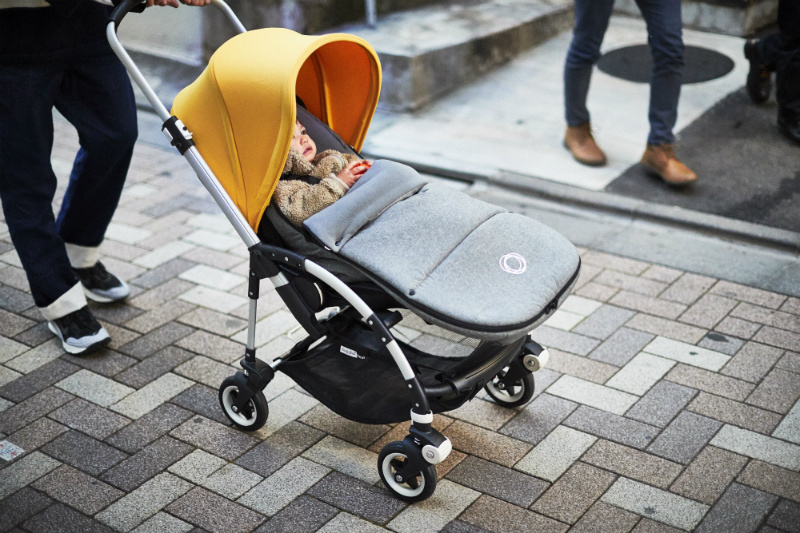 Looking for function as well as on-trend design, the Bugaboo Bee⁵ did not let her down on either score. “Absolutely great getting around the shops. It was small enough to fit into tight spots, light and the shopping basket was big and easily accessible,” Shanika told us. She said the Bee⁵ had an extra sanity-saving advantage she hadn’t anticipated too.